In order to get in themarket of young people, they created a big red chicken ip, and started a Weiboaccount for him. With the humor and puns, the chicken grew 500 thousandfollowers in couple days. Then they created 10 short video ads around their“Diao’s Home Rule” hot topic, which revealing a lot of Chinese family culture,as well as getting more young customers. Fonte interviewed andcollected a couple’s love letter in the past 50 years, and made them into ashort film. In our traditional mind, the cooking fumes is bad for our health,but Fonte brought out a new concept: Fumes documents our love. At the end of the film,Fonte said, “we collect the fumes from Fonte’s range hood, and print out theselove letters. Fumes represents love, and love, shall be remembered.” By theway, the book Love Letter of Fumes did publish last October. Based on Douyin most popularmusic, they created a series with some western masterpiece paintings. Everymove and expression is just like how Douyin’s KOLs did it. 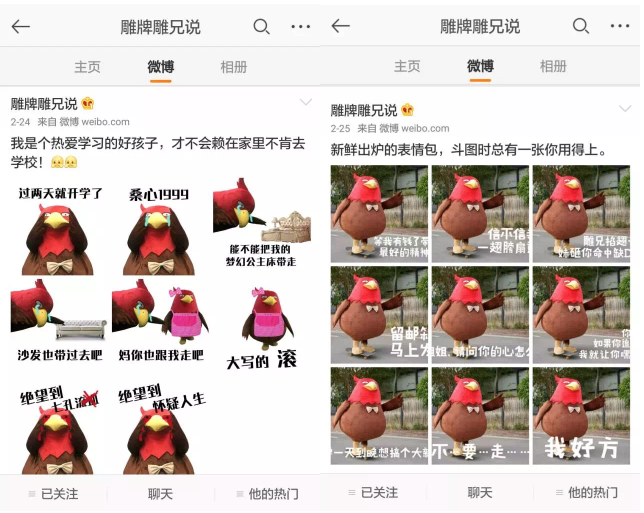 This is an Html5campaign, which means people can share it in their WeChat moments feeds. Ithelps the company get more active users, as well as more downloads and brandexposure. Every quarter, there aremany new bikes which will be put in the market. 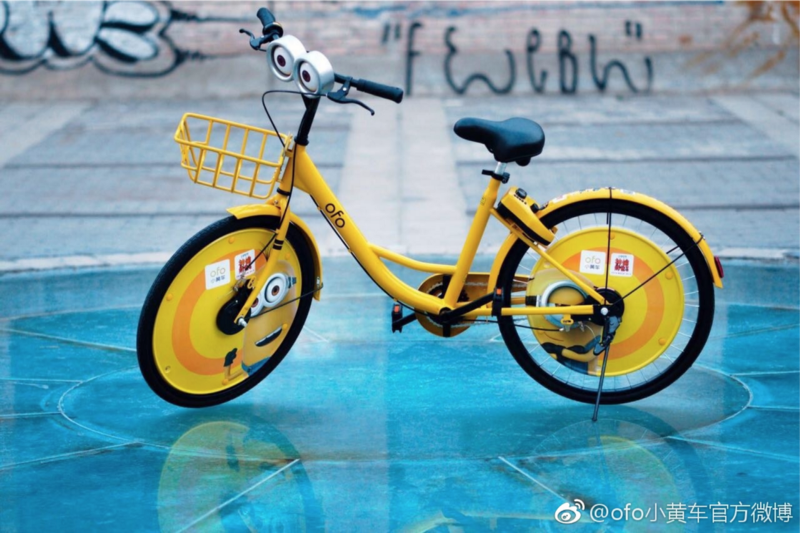 And this time, ofo uses theirbrand color, bright yellow, to create a “Despicable Me” version right beforethe premiere of Despicable Me 3, which draws huge amount of public attention.The bikes are super cute. In south China, tea hasalways been a daily product. And for young people and their special need, therecomes a brand called “Sad Tea”, which goes the completely the opposite way ofwhat traditional shop could offer. “Drink the sad tea, and be a loser.” This iswhat you will normally see on the tea bottle, but it’s also a way of relievingpressure. During the flash mob inShanghai, the shop traveled from Guangzhou and only stayed for 4 days. Theycollaborated with Delivery company 饿了么ele, and made this 4-day flash mob tea event a great success. On May 16th, Oreo kicked offtheir Super Brand Festival on Tmall (Alibaba) with a special music box. Thelight sensor allows the music box to change music along with the every bitepeople have. Besides, people can also play around with AR sticker if they scanthe QR code on the box. 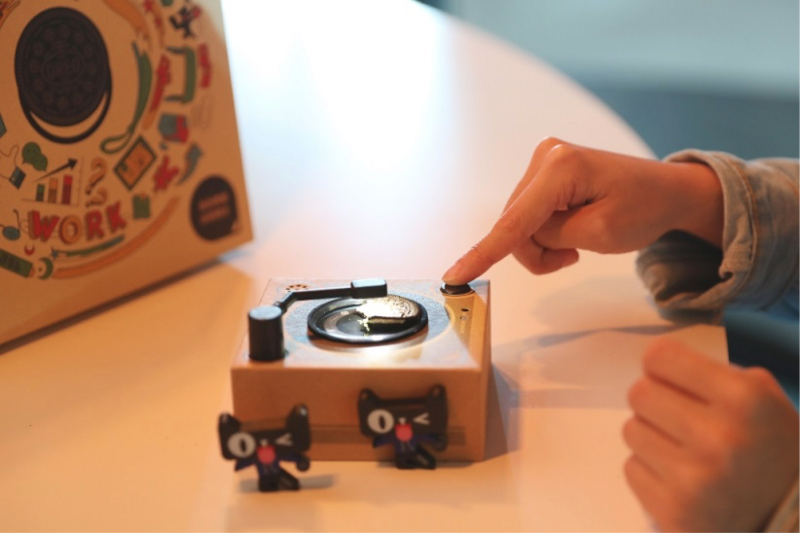 The music box was sold outshortly after the launch, even second-handed box is really hard to get one. Netease Music just reachedtheir 400 million active users last November, and what separate it from othermusic app like QQ Music or Spotify is that, they have a strong social attribute.People can comment under specific music, and are able to see other people’sstory about this song, support them or even reply them. And because of that,there’re so many music stories that people can resonate with under each song,which makes this community better and stronger. So every branding/advertisingevent should start from there. For Nongfu Spring & ARevent, they selected 30 hot comments, and printed out on the bottle with adifferent QR code. 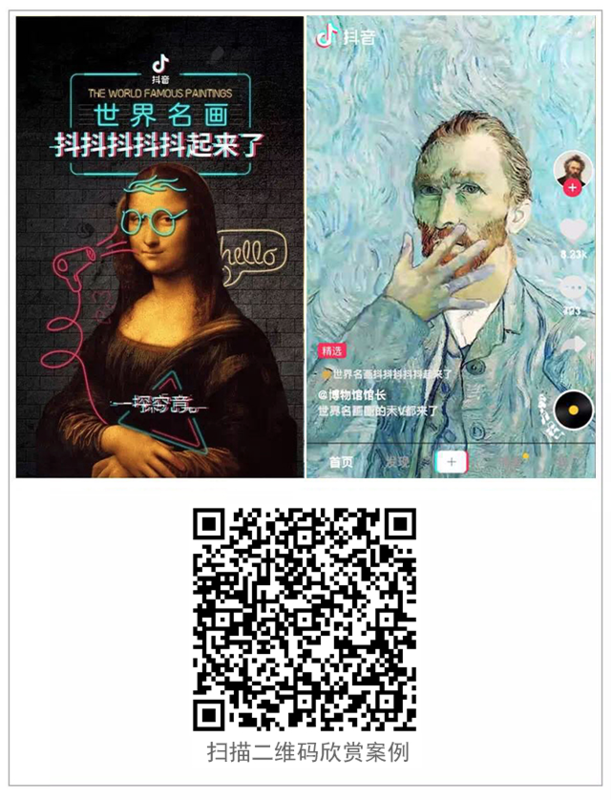 If people use Netease Music app to scan the QR code, theywould see a AR world with that specific story and music. This turns the purespring into a story. 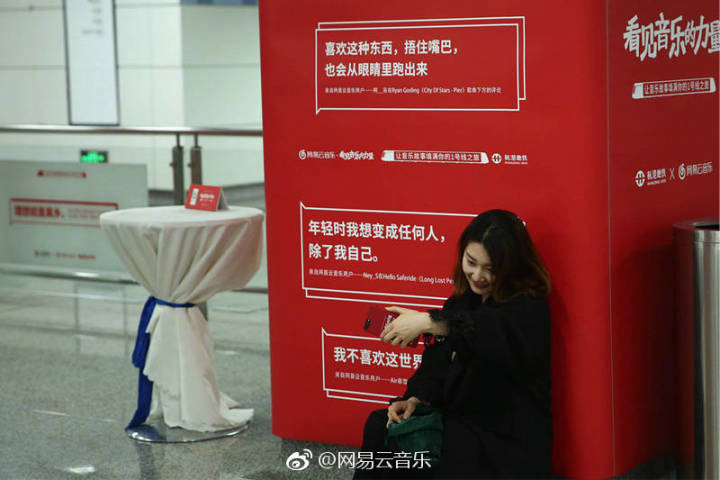 For The Power of Musicevent, they printed out 85 hot comments on giant posters and got them on subwaystations and trains in Hangzhou. 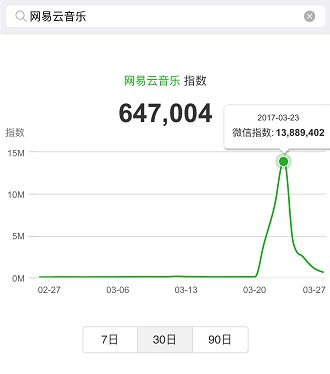 The data traffic from WeChat also shows thepower of Netease Music. Zhima Credit was owned byAlibaba’s Alipay, and over the past years, they have already built a credit platformwith the people’s data from Alipay and purchased products. They are building aworld based off Alipay and credit points. 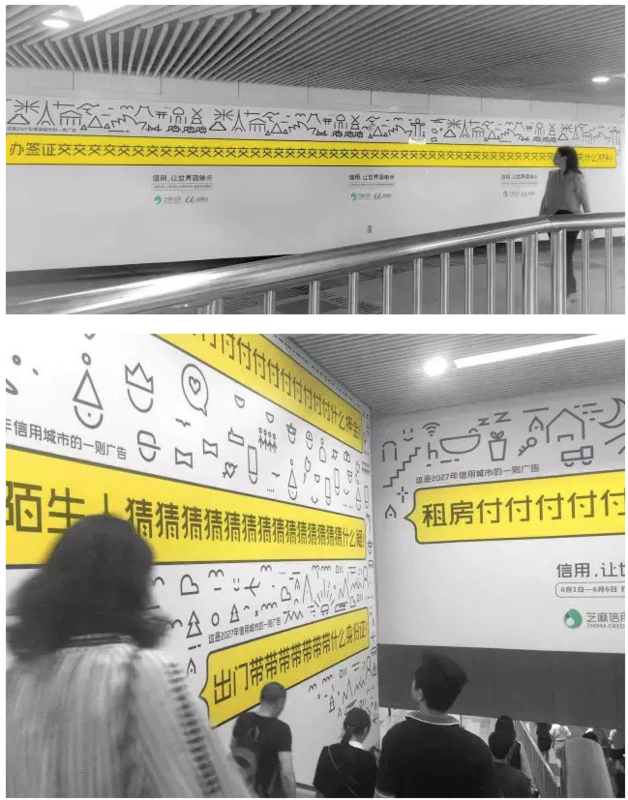 On Jun 6th, they started theoffline campaign in Shanghai subway stations, with a super long writings, whichencourage people to think about what our life will look like in 10 years with acredit system. White, black and brightyellow, the colors make the posters very impressing, and every writing is areal case scenario which bother people a lot. With a better credit system, theycan solve the problem.